Born in 1888 in Cleveland to Rolinda Hays Joseph and Siegmund Joseph. A graduate of Adelbert College, Western Reserve University, and a member of Phi Beta Kappa. Director and Vice President of the Joseph & Feiss Co., clothing manufacturers. 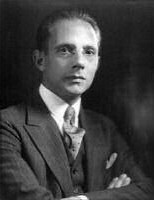 He was a collector of rare books, a patron of music and an accomplished pianist. For a 1910 photo with her family, click here. Attended Western Reserve University and the Cleveland School of Art. For 15 years she was treasurer of the women’s committee of the Cleveland Orchestra. She also was chairman of the music committee of the Women’s City Club for years. 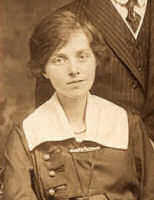 Ray Hahn married Ralph Joseph in 1911. The couple had three children: Karl, Martha (next page) and Mary.